Authentic brown Jack Daniels belt. 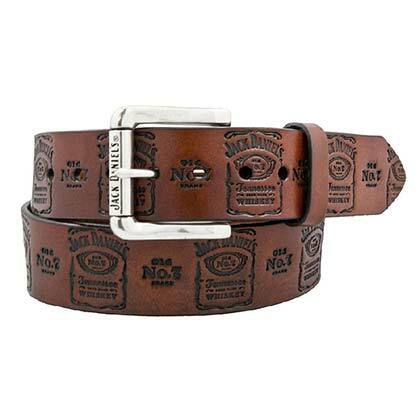 Features multiple "Jack Daniels" logos stamped on the belt and made from genuine full grain leather. Officially licensed.